Building a home is one of the most important decisions that you and your family will ever make. Finding an experienced, trustworthy building contractor is an important first step in building your new home. Silvercrest Construction Group can help you locate a construction site, assist in financing and design, and build your home to the same quality standards as if I was building my own home. 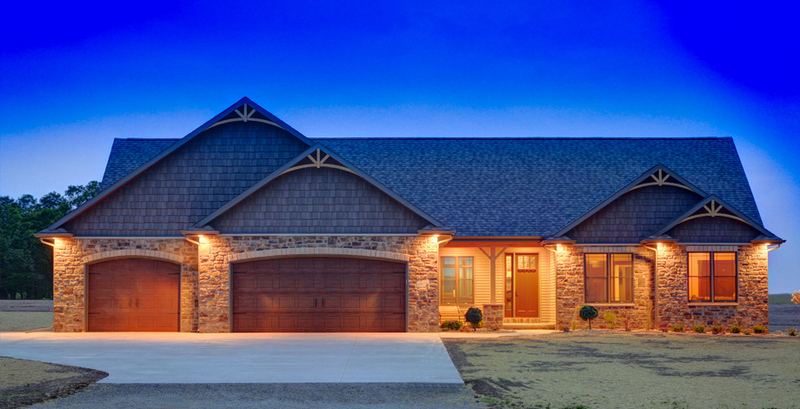 Whether you are looking to build your dream home in Appleton, Kaukauna, Oshkosh, Greenville, the Fox Valley area, Green Bay or anywhere in northeast Wisconsin, Silvercrest Construction Group is proud to be your custom home builder. Found a house that’s close but not exactly your dream house? Looking for a completely different design? No problem. I will work with you to create blueprints for your own custom home. After I lay out the basics, a professional home architect will create an official blueprint of your new house plans. Do you like what you see but need more information before deciding? I would love to hear from you. Let’s set up a time to meet, discuss your future home plans and see some of these beautiful homes first-hand. The homes shown in this gallery are located in Appleton, Neenah, Menasha and throughout the Fox Cities and Northeast Wisconsin. If you have any questions or comments, feel free to contact me directly. I look forward to introducing you to some of the highest quality, affordable homes in the Fox Cities. As a member of Home Builders Association of the Fox Cities I am honored to participate in the Summer and Winter Parade of Homes. Each year’s parade home has been a huge success and we’re looking forward to the next parade. Thank you to all that helped and all that visited. As a proud participant in Wisconsin’s Focus on Energy, I understand the importance of building sustainable and efficient homes. Silvercrest Construction is committed to the education and resources necessary to build healthy, safe and comfortable homes that are energy efficient and environmentally responsible.